Construction accidents in Riverside are responsible for hundreds of injuries every year, to the workers on construction sites, road workers and innocent bystanders. These are serious and often fatal accidents. The lawyers at Aitken * Aitken * Cohn are experienced in road construction accidents, fatal accidents at construction sites, and all other personal injury accidents. If you or a loved one has been the victim of a construction related accident, call today for a free consultation. Construction companies, manufacturers and even governments can be held responsible for construction accidents. 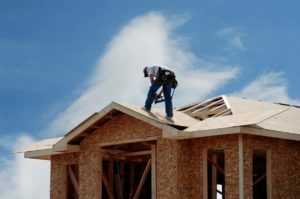 OSHA statistics show that 4 percent of the 711,000 workers on construction sites in California were injured at work in 2009. OSHA statistics also show that the incidence rate of worker involved road construction accidents is even higher. Speaking to an attorney after being involved in a construction accident can protect your rights. Your lawyer can research similar construction accident reports, look for patterns of unsafe conditions, evaluate if proper safety precautions were in place, and determine if there was negligence involved. The law firm of Aitken * Aitken * Cohn has decades of experience dealing with personal injury accidents involving construction workers. Fatal accidents and permanently disabling injuries take their toll on the families of construction workers, and you deserve to be compensated. Victims of these personal injuries can expect to be compensated for time lost at work, future lost earnings, medical expenses and pain and suffering. Contact a Riverside construction accident attorney today. Call 1-714-434-1424.